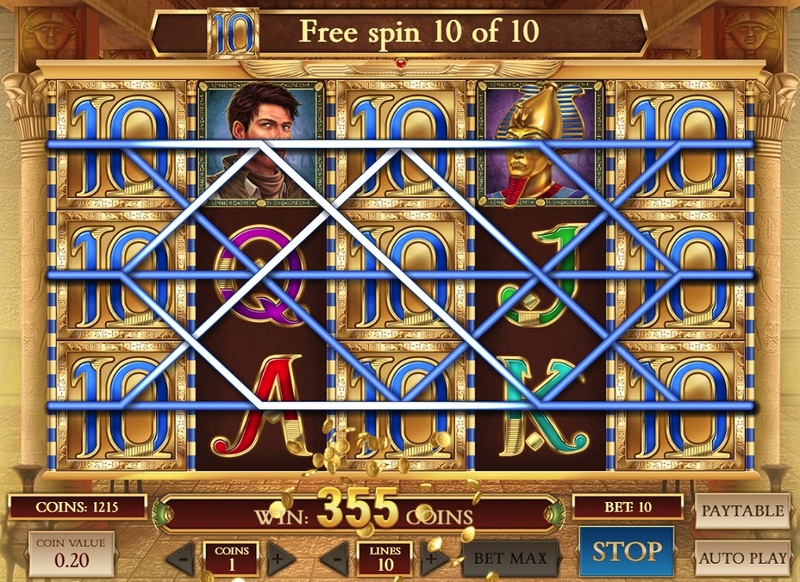 For those of you that love the classic slot game Cleopatra, you’re in luck. 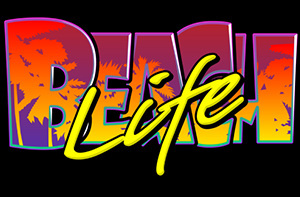 Book of Dead is a more modern and superior reincarnation. Working off the same kind of Egyptian theme as Cleopatra, but with more of an archaeological twist, Book of Dead takes diving into the Ptolemaic Kingdom one step further and one step better. 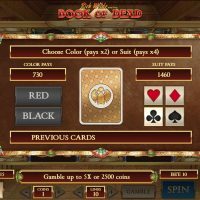 With enhanced and quite beautiful, glossy graphics, and an astoundingly smooth gameplay; Book of Dead is one of the best slot games you will play online. 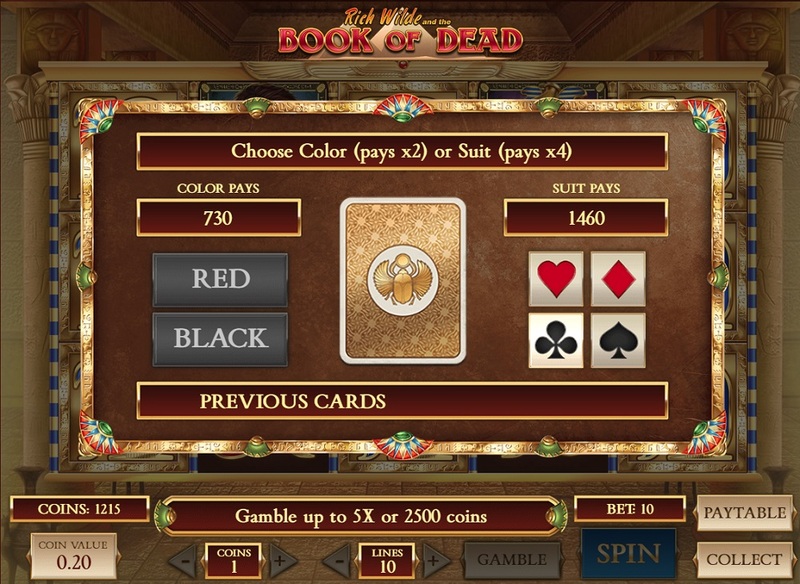 Compared to Cleopatra, Book of Dead is just a bit more advanced in every department, plus there’s also a really cool feature which allows you to gamble on every win by making a 50/50 choice by betting on red or black. When it comes to the symbols, as you’d expect, they all relate to some kind of Egyptian paraphernalia with a Book of the Dead, an archaeologist, Tutankhamun, a Jackal, and a winged scarab all featuring plus the traditional A’s, K’s, Q’s, J’s and 10’s. 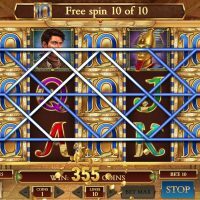 The best symbol to hit is the archaeologist which returns odds of 5,000/1 if you hit five in a row. Hitting three Book of Dead symbols in any three lines takes you to the bonus. The bonus round isn’t really all that. 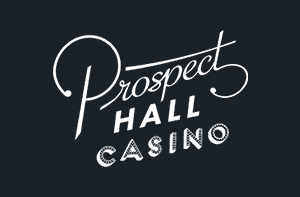 When it’s triggered you’re just taken to some free spins, which isn’t bad, but there are definitely better bonus rounds out there. 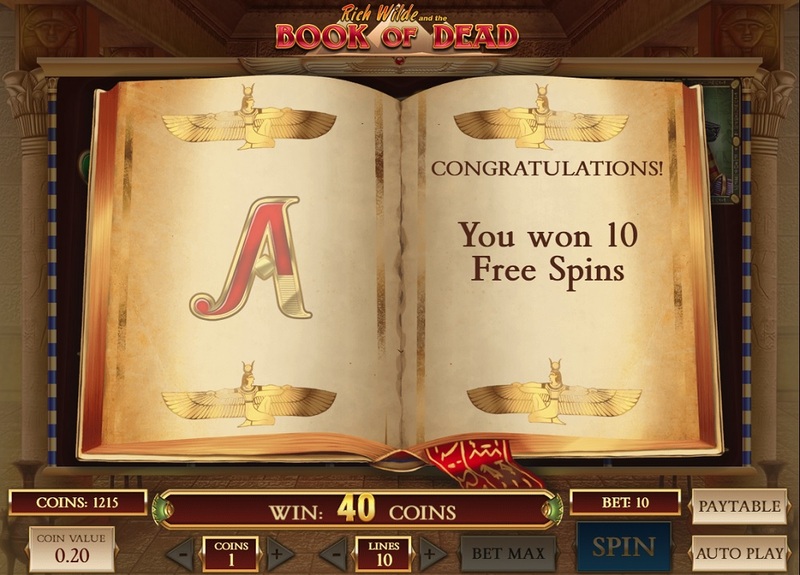 You have the ability to bet on between 1 – 10 lines when playing on Book of Dead, and the minimum bet is 20p and the maximum bet is £10 – definitely a game for the budget player. The house edge is a very good 3.79%. 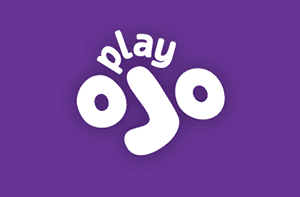 There is an autoplay feature on this slot too which is very good with five different autostop options. 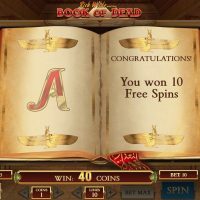 Book of Dead is simply one of the best slots out there. 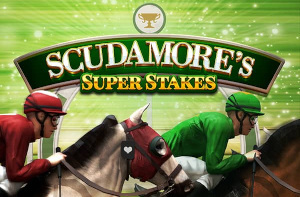 The average bonus round is a slight disappointment, but that is the only thing that lets this game down. 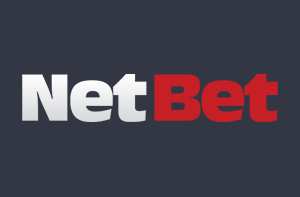 The graphics are simply beautiful, the gameplay is perfection, the range of betting is very good, there are loads of autoplay options, and the house edge is among the best out there. 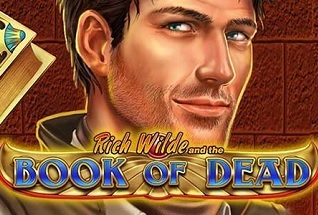 For those who love Cleopatra, this game takes your classic Egyptian love to a whole new level. What a game!